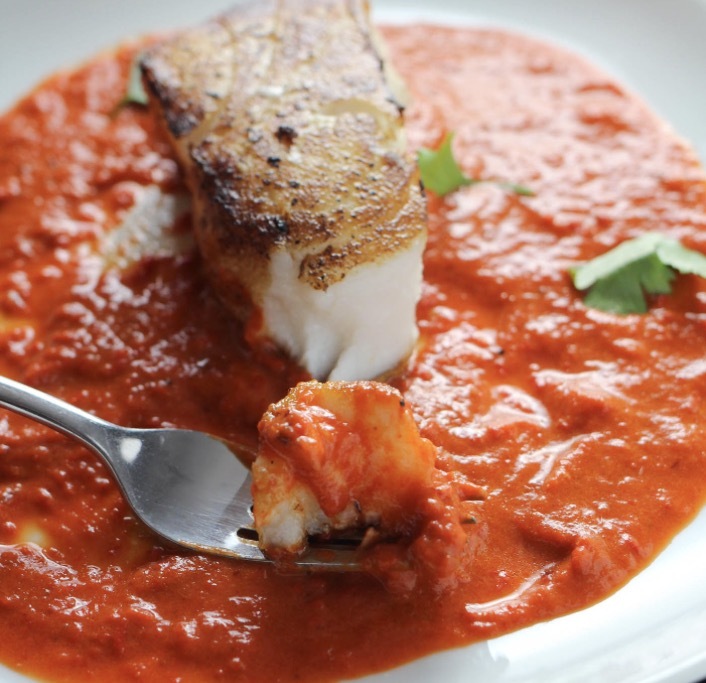 When you want a flavorful, easy to do fish dish try this one out. It makes a savory main course accompanied by fresh vegetables, cauliflower rice, or zucchini pasta. Cod or halibut are great substitutions if sea bass isn’t available. Heat oil over medium-low heat in large sauce pan and add garlic and red chili flakes. Sauté for 1 minute. Add puréed tomatoes, salt and pepper and cook over medium-high heat, stirring often for 8-10 minutes. Add half of parsley to sauce followed by the fish. Season fish with salt and pepper. Bring to a simmer, cover, and cook over medium heat for about 10 minutes. Sprinkle with remaining parsley and serve.